The Team, David Evans – VK4HDE, Neil Murphy – VK2GAN, Geoff Strom – VK4FGGS and Alan Connew – VK4XAC. The Basic plans for the day were settled a week or so before the day. The site was chosen at David’s place in Amiens. Great elevation of 920m, some good trees for antennas. David started the set up on Friday and had the club’s large orange tarp set between two trees using some truck ties with ratchet tensioners, pegged at the base, and it worked real well. The Generator was working with an extension cord up to the tables already set. The BBQ was in place. David had been working hard right up till I turned up. That Fork Lift is a great machine. We then worked on the antenna system. First the 40m dipole, supplied by James VK4VS. I used my Bow and Arrow to send one end up and David used a weight and line for the other end. In the end it was up about 10m. 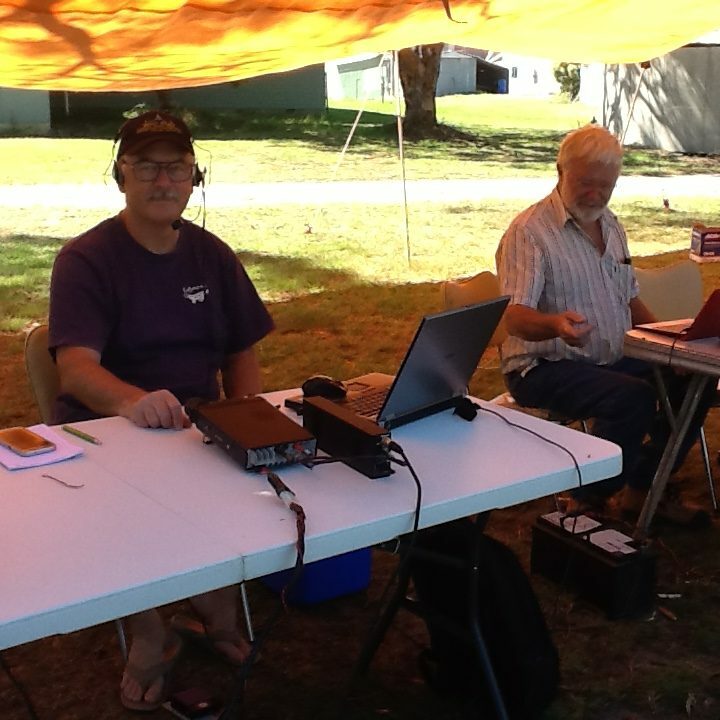 Off another couple trees, we set up my G5RV at about 8 m, and used this for 80m and 20m. A third antenna from David, we set as an inverted V, as an alternative for 40m, as required. All antenna’s were used and worked really well. By late that Friday afternoon everything was set and looked great for the Saturday start. We were all setup and ready to go well before start time. The Bands, 20m and 40m, were working quite well. We then decided to begin with the First 3-hour segment. Contacts on both 40 and 20 were coming regularly. 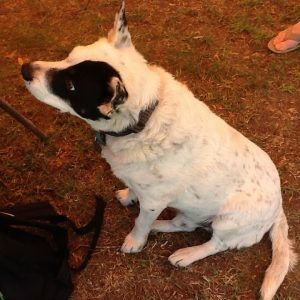 More on 40m, as expected. David and Neil worked 40 with Geoff as back up initially. Alan worked 20m. The second segment saw 20m slow down, and 40m continue with some pace. David, Geoff and Neil swapped rolls regularly working 40m, the log book, and back up. In the last hour of the second segment 20m closed and 80m began to open. 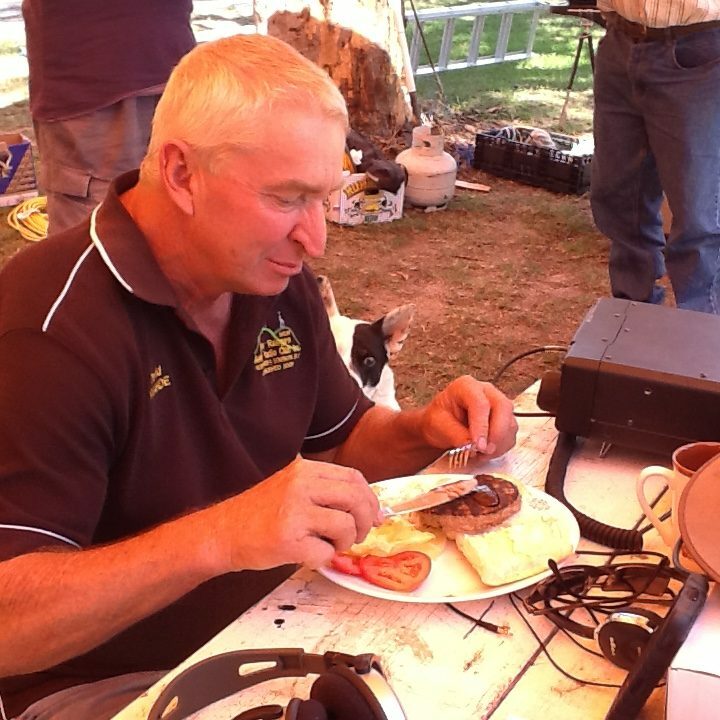 Alan switched bands to 80m and continued with a good flow of contacts till the end. The 40m band began to slow towards the end to a frustrating snail pace. Everyone worked till the second segment ended. That was the 6-hour John Moyle Field Day Contest 2018, completed. We folded up and packed up, with great use of the forklift again. We then sat back, chatted about the day, and enjoyed a quiet brown liquid, and drawled over the Holden Premier. An amazing day, great fun, great comradery. The best Field Day yet. The BRARC John Moyle Field Day 2018, by Alan Connew VK4XAC.